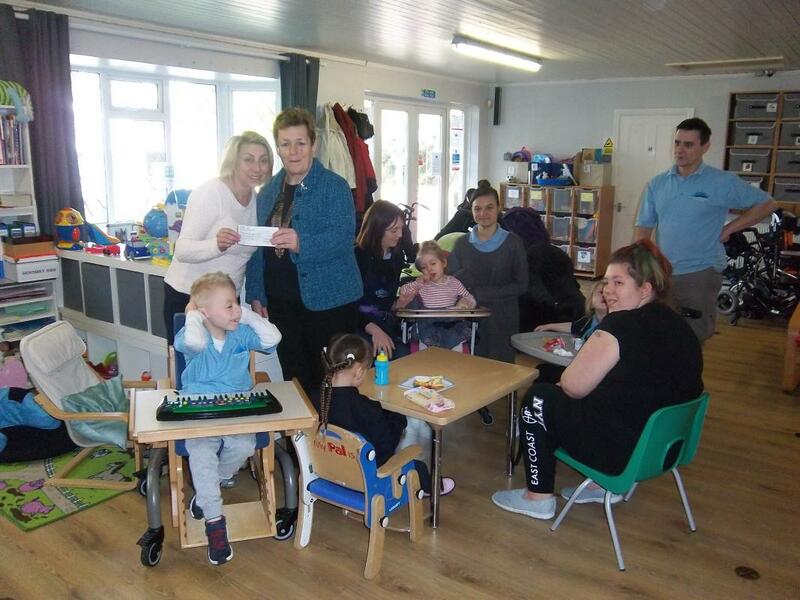 President Loraine presented a cheque for £250 to Sara Llewellyn at the Llewellyn School & Nursery in Westbrook. Dec 2015 life took a very different turn for Sara and her family, when unfortunately, the school their son Louie attended (The Royal School for Deaf Children in Margate) closed unexpectedly. This left Louie who has a rare chromosome deletion, without a suitable school placement due to his complex medical and physical needs. Sara & her husband Phill quickly realised other local families were also left in the same situation, so decided to open their own school and nursery in the annex of their home. became a registered independent school & Community interest company (CIC) in January 2017. The school has become popular meaning they have out grown the annex already! Quex Park Estate came to their rescue having hit brick wall after brick wall looking for suitable premises to relocate too. Anthony Curwen the Managing director of Quex Park kindly offered Sara a plot of land to build a timber framed school within their grounds. On the 14th February 2018 planning permission was granted with a unanimous vote for the new school to go ahead! Linked to the school is also a registered charity, Louie's Helping Hands, Charity No 1167225. Louie's Helping Hands supports the children who attend the School and Nursery by providing some of the valuable therapies the children require. Therapies like Hydrotherapy, Horse Riding, Art & Music sessions. Combined, these contribute to keeping the children healthy by building core strength and muscle tone. Thus, increasing their confidence and independence. We also support with the purchase of specialist equipment.